Earning his record-tying third Grand Prix trophy in 2016, Matt Severa takes down (6) Steve Rubin in the finals, ready for his hometown tournament next week. "2016 has definitely been good to me," Madisonian Matt Severa said to me, clutching his third Grand Prix trophy in this year alone. His achievement ties a record set by Pro Tour Hall of Famer Oliver Ruel—and Severa still has a hometown Grand Prix to close out the year, returning to Wisconsin in style. His Mardu Vehicles deck proved him well, taking down sixth-ranked Steve Rubin with the new hotness, Temur Aetherworks. He leaned strongly on the power of Thalia, Heretic Cathar to keep Rubin off balance at all times. It was a crazy Top 8, with dueling Emrakul, the Promised End (if five Emrakuls could duel...), third-ranked Seth Manfield showcasing the power of Panharmonicon, and tons of other goodies, including a Blue-red Zomb-Emerge! Kaladesh Standard is as interactive as fun as ever. The weekend was a fantastic event as the penultimate of 2016. We've got one more in Milwaukee next week before the holidays bring us a promised end to the year. It’s a new day in Denver, and the Standard landscape looks a bit different than it did yesterday. Four hundred thirty-three players have returned to compete on Day 2, and while many of them will be wielding either B/G Delirium or W/U Flash, an astonishing number brought Aetherworks Marvel decks and other fantastic concoctions. The metagame, which many thought to be “solved” in November, is still in flux. The five players who made it through Day 1 unscathed reflect Standard as we currently see it: Kris Hopkins and Rob Pisano represent the two titans of the format, while Tyler Heule and (6) Steve Rubin are looking to combo off with different flavors of Aetherworks. Joining them is third-ranked pro and consistent 9-0 finisher Seth Manfield, piloting an innovative W/U Panharmonicon deck that was the brainchild of Team East West Bowl’s Ben Weitz. Will B/G Delirium and W/U Flash continue to dominate, or will the Aetherworks decks marvel us in the Top 8? Join us now at twitch.tv/magic. Denver has already shown us some surprises—just after the first day. Many people came in thinking there were two ways to go in Standard—Black-Green Delirium or White-Blue Flash. And though both are still going strong, the top tables have more to offer. Temur Aetherworks, Red-Green Aetherworks, and White-Blue Panharmonicon join the two more conventional archetypes in the undefeated bracket and they don't show signs of slowing. Tyler Heule, Kris Hopkins, Rob Pisano,Pro Tour Shadows over Innistrad winner, sixth-ranked Steve Rubin and former World Champion, and 9-0 connoisseur, third-ranked Seth Manfield are providing a nice array of the viableKaladeshStandard decks. The biggest story of the day was the revealing of Temur Aetherworks. Adding Whirler Virtuoso has apparently shored up many of the tougher matches for the traditional Red-Green Aetherworks deck, and the pro players brought the deck in spades—it was strongly represented in the pro community. Rubin said quite casually that to him it's clear the Temur build will become the third leg of the Standard stool after this weekend. But will it sustain into the Top 8? Or will it fizzle out, like a Ruinous Path targeting a Bristling Hydra? We'll find out tomorrow, starting at 9am MT. Join us bright and early on Twitch at twitch.tv/magicfor the exciting conclusion to Grand Prix Denver! 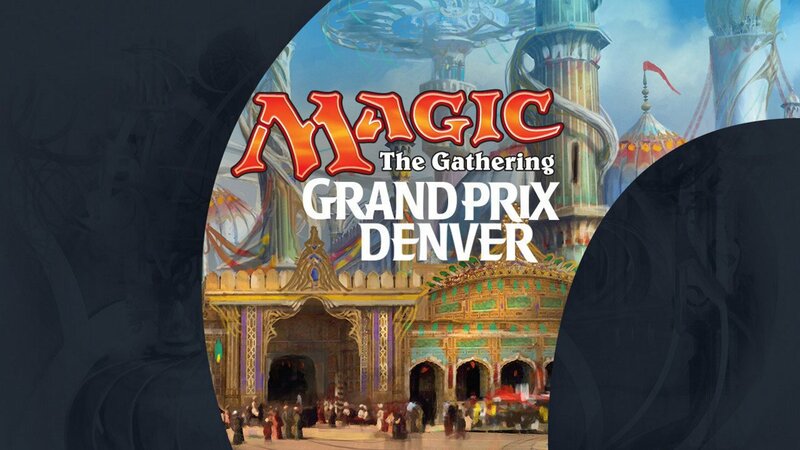 The hashtag for Grand Prix Denver is #GPDEN. Join the conversation!